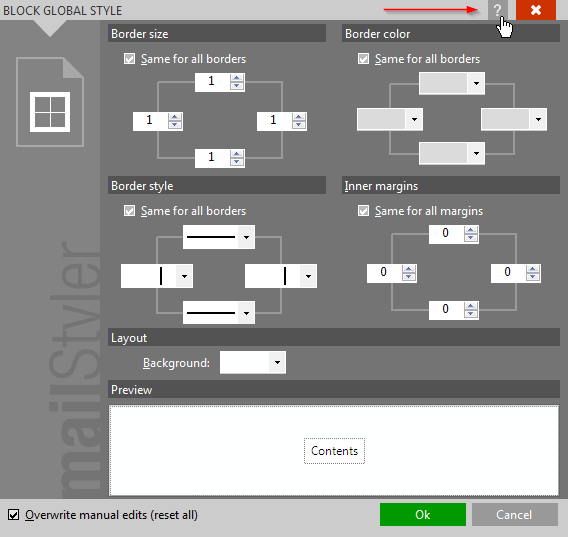 The following section describes in details how to work with MailStyler. Select a topic from the menu to the left or click the Help icon while in MailStyler to connect to the most appropriate page of this guide. On-line help can also be shown by pressing the F1 button while working with MailStyler.